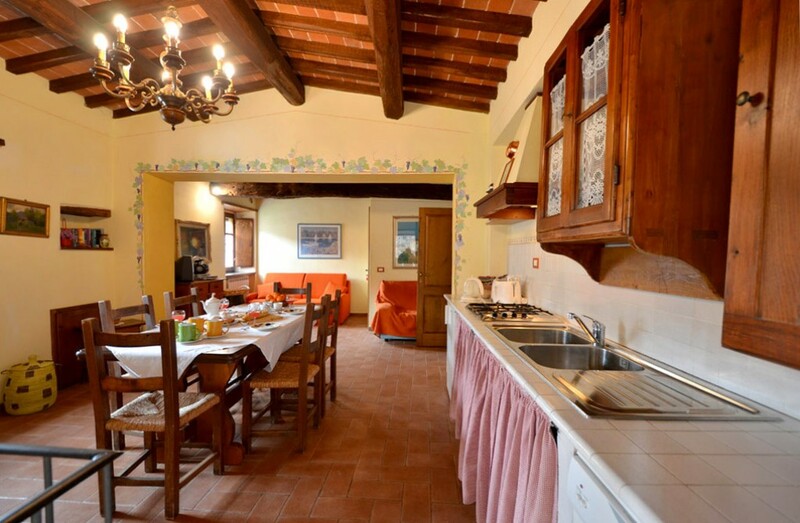 Girasole is a 60 mq apartment that can accommodate up to 6 people. 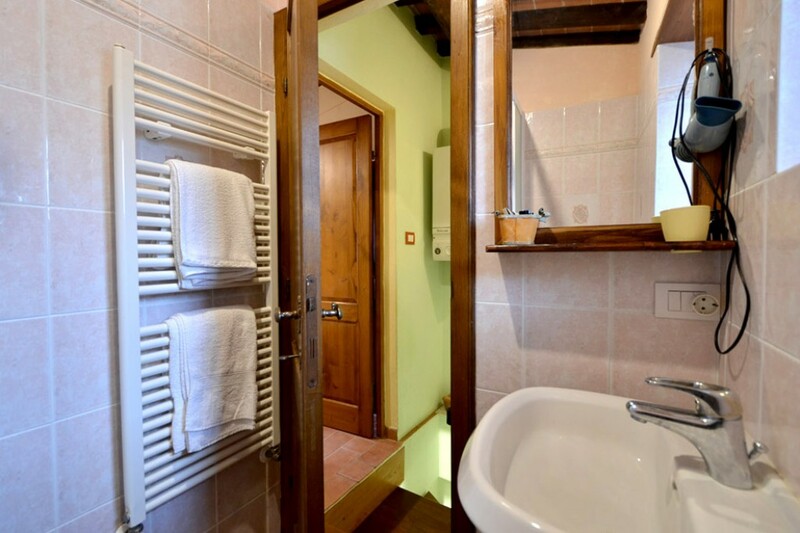 It is provided with two bedrooms, two bathrooms, a kitchen/living room with a sofa bed and private patio. 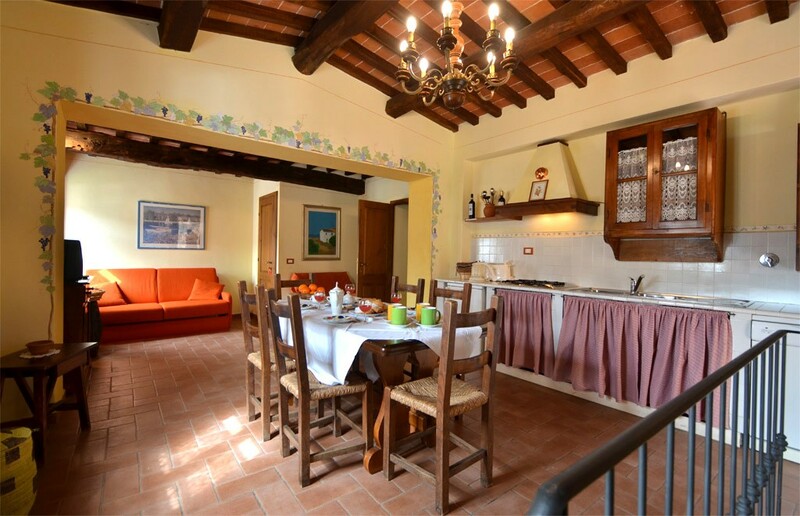 Typical tuscan furniture with restored antiques belonging to our family will make you experience the true rural felling of a country holiday. 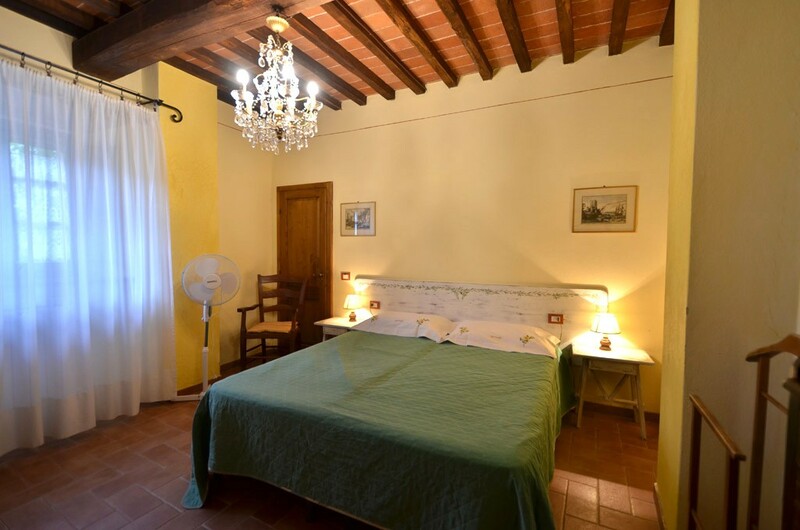 The astonishing bedrooms are bright, one of the two is a small “tower”from whic you can enjoy the view of the surrounding landscape made of vineyards and farmhouses. 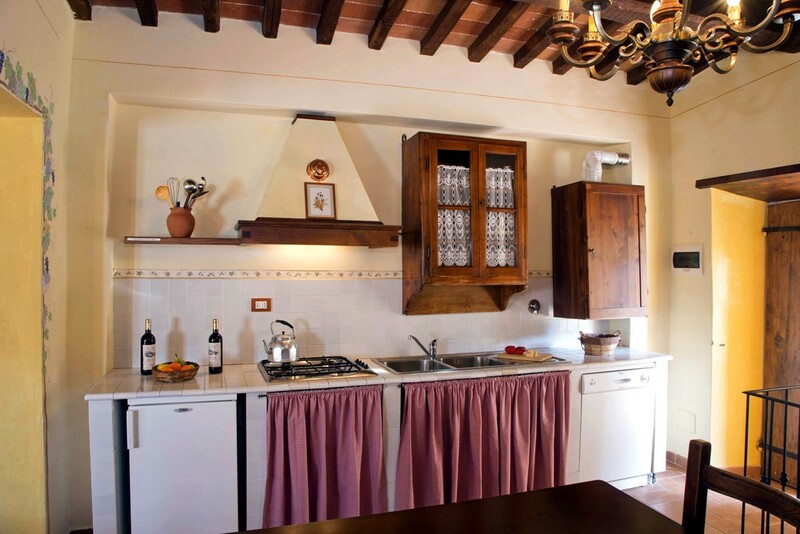 A fully equipped kitchen is facing a private patio where you can enjoy some typical tuscan meals and wine. 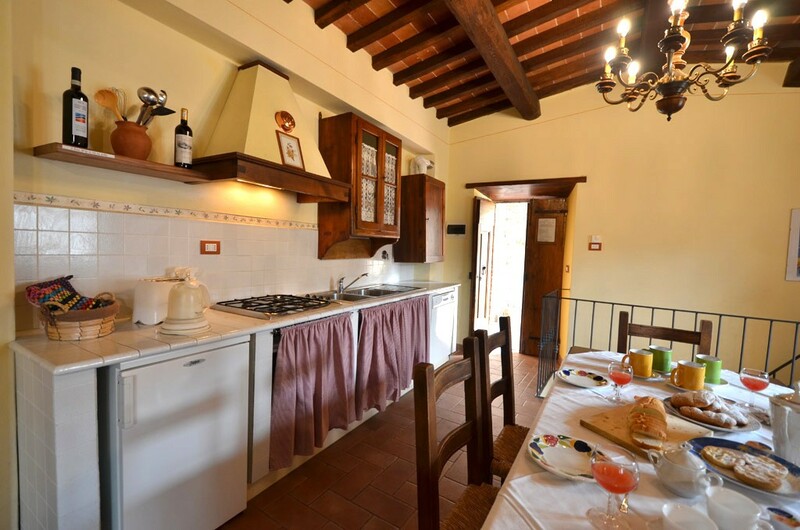 Our guests can also benefit a common space with a gazebo paved with travertine and typical tuscan benches, all surrounded by a richly flourished hedge. 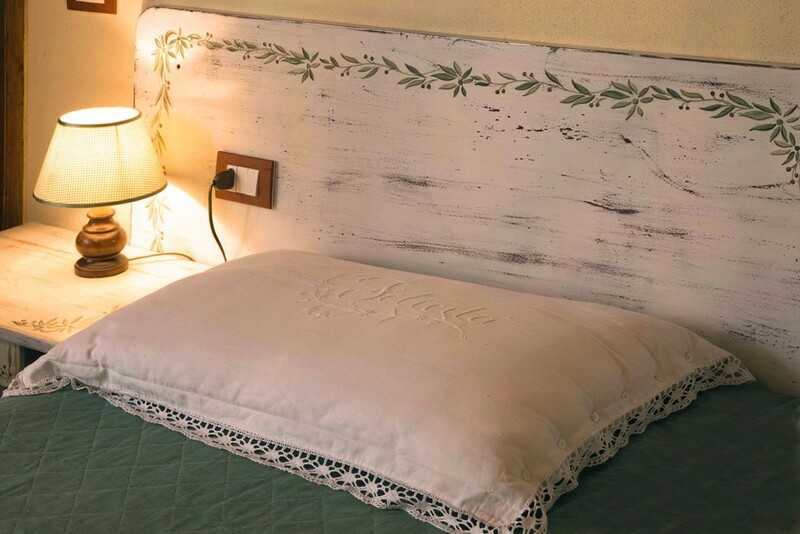 The cottage is provided with free wifi, satellite tv and mosquito nets on every window.